Every year the college organizes ‘Vishesh Shramsanskar Shibir’ in near villages to acquaint the students with life in village. This year ‘Vishesh Shramsanskar Shibir’ was organised the college at Malkhed, Tal: Haveli, Dist: Pune from 21st December to 26th December, 2016. In this Camp 75 students of the college were participated. 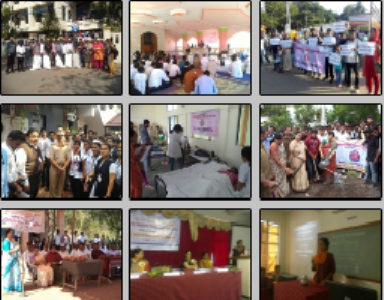 During the camp various programs like Swacchata abhiyan, tree plantation, health survey, construction of band, street play on the topic of Dowry Prohibition, visit to shivsrushti and many other activities has been performed the NSS volunteers. Dr. Prabhakar Desai, NSS coordinator, SPPU, visited the NSS Camp on 25th December, 2016. He appreciated the work completed the NSS volunteers.